Spells - Read the first post! 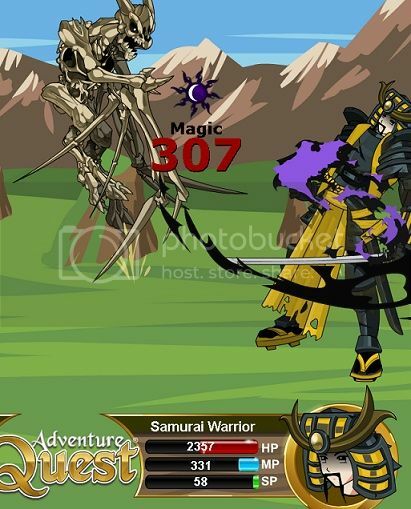 All Forums >> [Artix Entertainment Games] >> [AdventureQuest] >> [AQ Encyclopedia] >> Info. Submission >> Spells - Read the first post! Please check previous entries to prevent bogging down the thread with old information. After checking and making sure that the information is new and relevant, please include whether it is for a new entry or an edit/addition to an old entry. Remember to check previous threads and Guides first. Remember, no sigs. For pictures, please refer to the Guide to Pedia Screenshots. These threads are not meant for discussion in regards to any item. If you feel an item is imbalanced please make a thread about it in Game Balance Issues. These threads are not meant for asking questions. Please use Questions/Answers for that. Only questions pertaining to crucial information that is missing or hasn't been posted by the AQ staff by accident are allowed. For example missing SP costs for a misc or missing BtH numbers regarding a weapon etc. These threads are not meant for bug reporting. Please report any bugs you find in AQ Bugs. Any posts that deviate from the AQ Encyclopedia Rules will be deleted and warnings given out as deemed necessary. CHA skill, calls the minion used in the Necragon Guise to swoop in mega fast and attack. Uses CHA in place of INT, and has +4.25 BtH as MC. Trivial: The Summon Bun-Summoner spells have been renamed Summon Bun-Bewitcher. The Bun-Summoner monster has been renamed Bun-Bewitcher too. Additional info is that it does 2 hits of darkness magic. Does 3 hits each of Light and Dark, does *1.2 damage due to this. If facing a Shadow monster, it will instead ele seek and do +10% damage. The Chupacabras recognise you as their new alpha, so you can now call one to your side in battle! It will strike with Darkness or Water, whichever will hurt your foe the most! Candy Cane Cataclysm needs a rare tag. Darkness spell. Has the same +4.25 BtH MC that the weapons do. Nocturnal Night Raiders description: "Holy Bat Assault! This spell calls forth a cloud of bats to strike your foe! These bats are able to use sonar to strike their target with greater accuracy!" Also, having used the spell a handful of times, it's pretty clearly more than four hits- between six and eight. Is that intended? Conjure Shadow/Arm-Ageddon: Not discounted, so rare. Summon Undead Army/Moonwalker's Grace: Discounted, so un-discounted and moved to Adder's. Melee SPell and Magic Spell. First costs SP and is powered by STR, second costs MP and is powered by INT. Both items funnel their MC effect and some damage into a Daze effect. Gives up a 5% damage MC (or 10% Melee) as well as a further 49.5% Melee (so does 24.75% less damage) to do a 25% stun rate Daze that lasts for Hits*2 (max 2 hits) turns. Stun rate is modified by mob's Water resist. I think, the Call Zombie Director needs to be put back for a while to give us a chance to decide if it's worth to buy or not. Summon an onslaught of fiery explosives to annihilate your foe!. This spell requires more mana than most, but it has greatly boasted damage to compensate! Fire spell. Has a +10 BtH lean and a 0.1 base lean (You're firing rockets point blank, you're going to hit and it's gonna hit hard). This is a "powerful" spell (will take suggestions for an alternate name scheme), This is an "overcharged" spell, the opposite of an efficient one. While efficient spells cost 3/5 normal MP cost and deal 75% normal spell damage (AKA 150% Melee damage), this one has 4/3 MP cost and deals +29/24 (or 120.833...%) spell damage (or 241.66...% Melee damage). It also has a further +5% damage for an MC effect. Neutral spell. 8 hits, one of each element. Does *132/109 damage because of this. MC Energy spell. 4 hits, +7 BTH lean. MC: Has a 1/7*[monster Energy resist] chance of granting Celerity. The monster can resist with a save (inflict with INT/LUK, resist with INT/LUK). Hits connected doesn't matter. MC Earth spell. Two hits. The spell takes -10% damage, and the monster takes -6*[hits connected]/[hits attempted] MRM. The monster can resist with a save at a +0 bonus (inflict with INT/LUK, resist with END/LUK). This save is treated as being a save against the Defence Loss status. Light spell, neutral damage/BtH lean. Attempts to inflict Daze, so is a clone of Sea Titan Slam/Wave. Gives up 5% MC and 24.75% spell damage to do a 25% stun rate Daze that lasts for Hits*2 (max 2 hits) turns. Inflict with INT/LUK and resist with INT/LUK (You're overloading them with knowledge, basically). Stun rate is modified by mob's Light resist. This scholarly tome contains a radiantly overwhelming bounty of knowledge! It can easily overwhelm your foe, leaving them dazed as they attempt to process all that information! **The overload of information has left your foe dazed! **Your foe barely manages to process the tome's bounty of knowledge. Ranged Wind SPell, pretty simple, has +4.25 BtH as the MC, and a 1/3 base lean since the ninjas are good at aiming for vitals and such. Call forth the ghosts of a platoon of ninja ghosts to strike your enemy with swift and accurate strikes! 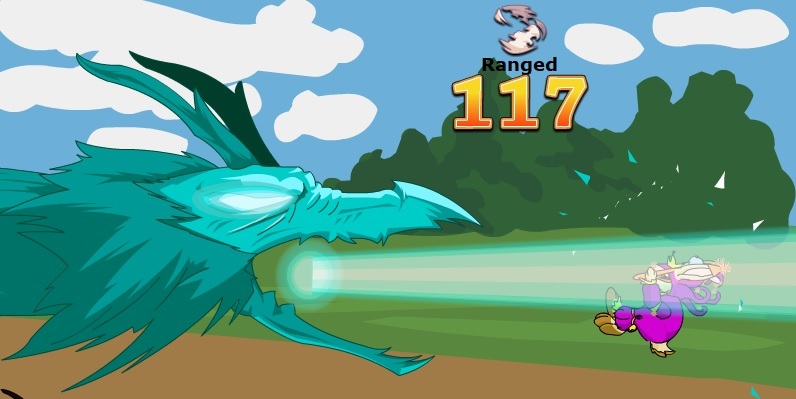 The ghosts draw on your skill and agility, and will gain power proportional to your DEX! Call a special seafaring BURP mercenary to your side to slash and 'splode your foes! He will only fight if the price is right, but the sight of gold makes him fight harder than most. Has a 1 hit Melee attack and a 2 hit Ranged attack that can inflict a Water-element Burn. One hit, Darkness. +10 BTH lean. It takes -44% damage. If it connects, the monster becomes a demon. The monster gets two saves to resist this. Both saves are at a -20 penalty. First inflicts with INT/LUK and resists with END/LUK; the second inflicts with INT/LUK and resists with CHA/LUK. MC Energy spell. 4 hits. The spell takes -40.77% damage. There is a [hits connected]/4 chance of Rubifying the foe (renamed, recoloured Hypersalinate) (1 turn). The monster can resist with a save at a +0 bonus (inflict with INT/LUK; resist with END/LUK). What happens if you cast the spell when the monster is already a demon? Does it get no penalty and 10% extra damage like Sepulchure? If the monster fails both saves, the monster becomes a demon*. Otherwise, the monster resists** the spell. Note: The monster needs to fail both saves, then it gets tagged as demon. **Your opponent screams as your spell turns them into a demoin! **Your opponent resists your spell! This terrible curse has the power to haunt your foes with demonic spirits, turning them into a demon! It won't give them any special powers or transform them into Their Ultimate Form(TM), but it'll make them more susceptible to demon-slaying equipment! Numbers thanks to In Media Res. Additional thanks to alchim and In Media Res. Deals -44% damage to pay for the effect. Gains +10 BTH and deals *85/95 damage. October 12, 2017: The spell was released. ??? : The spell became rare. Call Nezujimbo seems to have been renamed to Nezujimbo Contract.. or is it just me? ^ yes the merc spells are now "contract" spells, they also had the turn cost removed. 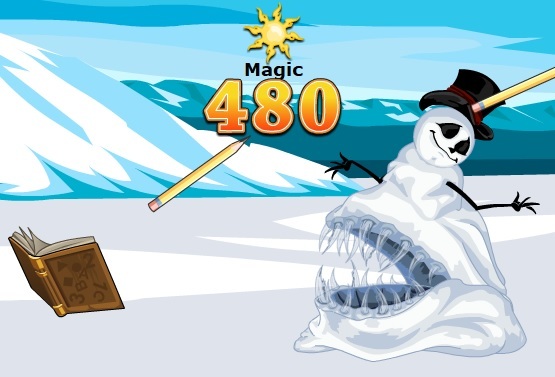 Here is the item's description: Call forth the Lagoon Leviathan to strike with a surge of water, sometimes dealing greatly boosted damage with tidal force!